It can feel so good to step into your home after a long day out and about in the winter chill! You wipe your feet, slip off your coat, hat, gloves and scarf, relax your shoulders and take a deep breath. All is well. Or is it? It seems intuitive to trust the very air you are breathing inside your home to keep you healthy. You don’t smell anything weird. You look around and don’t see toxins or microbes or plumes of volatile organic compounds floating toward you. So there is nothing to worry about. Unfortunately, according to multiple national agencies, this is a dangerous assumption to make. The U.S. Environmental Protection Agency (EPA) has released a disturbing report about our indoor air quality here in North America. According to recent research, the indoor air we breathe is anywhere from two to five times more polluted than the air outside. Many Canadian adults report that we spend up to 90 percent of our time indoors. So the quality of our indoor air really matters! What can you do to protect your respiratory health now and in the future? Would you believe the HVAC air filters you choose have a huge role to play? They do—and that is what we will discuss in this blog! Furnace filters aren’t the most exciting or glamorous topic—at least until you begin to understand how they work and what a good one can do to improve your health! A furnace filter has two important jobs to do: protect you from the toxins floating around in your indoor air and protect the furnace blower motor from getting clogged with debris. But here is what so many homeowners don’t know about furnace filters: Of these two jobs, the second one is actually the main purpose of most low-grade or off-the-shelf furnace filters, since a clogged furnace blower can quickly become a fire safety risk. If you want any significant indoor air quality improvements as well, it is often necessary to upgrade the type of furnace filter you are using. How Do Furnace Filters Work? So let’s take a quick look at how a furnace filter fits into the bigger picture of your HVAC system, assuming you are using a traditional forced air furnace system. The furnace process begins by drawing air in through the return air ducts. Next, the air is sent over a heat exchanger to warm it up. Then the blower propels that newly heated air out into your air ducts. As the blower blows, the heated air disperses into the channels of your air ducts and then out through the air registers in each room of your home or workspace. This sounds simple enough, right? But the entire process you just read about assumes a relatively clean, functional furnace filter. What happens when the furnace filter starts to get dirty? As you might imagine, as your furnace filter fills up with debris, it reaches its maximum capacity. Once your filter cannot hold any more debris, the excess can get blown back into the blower component of your furnace itself. Now your furnace is being forced to contain debris as it continues to heat and distribute air. In extremely clogged conditions, the mechanism may either shut down or, worse, ignite as the trapped matter heats up and catches fire. So how do you prevent this from occurring while also improving the quality of your indoor air? The first thing to know is that there are two basic types of furnace filters: disposable and reusable. Reusable filters, as their name suggests, can be cleaned and reused either for a limited number of times or indefinitely. Disposable filters can last from one to three months depending on a number of factors, the most important of which is how often you use your furnace. Depending on the type of furnace system you own, you may or may not be able to use either type of filters with your system. The best way to know for sure is to contact the manufacturer or give us a call. The ideal goal is to use a furnace filter that can do both of its jobs expertly: keep your blower motor clear of debris and clean your indoor air. The MERV rating system is what tells you how much capacity your furnace filter has to do the latter job. 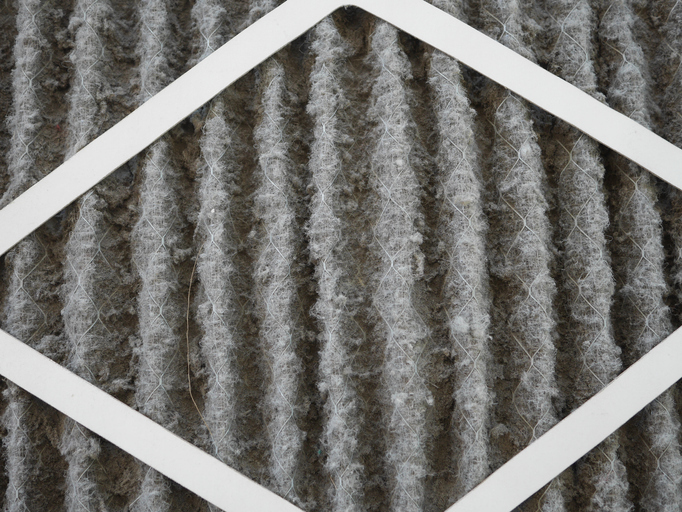 The higher the MERV rating, the better that filter will be at cleaning your indoor air. However, not all furnace systems can handle filters with higher MERV ratings, since these filters force your furnace to work harder to blow air through them in the interests of capturing more debris. MERV filters with ratings of 1 to 4 are generally only used today in older furnace systems. MERV filters rated 5 to 8 are typical in many home systems today. MERV filters rated 9 to 12 can be used in many of the new energy efficient and Energy Star-rated furnaces. MERV filters rated 13 to 16 are generally used in hospital or laboratory settings to keep air squeaky clean. A 9 to 12 rating is your ideal MERV filter for home or workplace use, if your furnace is rated to handle that level of filter. But what if your furnace can’t handle more than a MERV 8 filter? Are you just stuck breathing polluted indoor air? Not by a long shot! Instead, you can choose to retrofit either an ultraviolet indoor air purification system or a HEPA air filtration system to work with your furnace. For very clogged systems, we recommend scheduling an indoor air duct cleaning service before upgrading your furnace filter or retrofitting your system. Right now, save 10 percent on this service. Or give us a call at 905-544-2470!